ASU is leaning into personalized learning with the introduction of adaptive technology and active instruction models across academic departments through online and face-to-face, flipped course delivery. This is a shift in the way ASU delivers education and how our students learn. Johnson is leading our team's effort to help faculty enable student success in general education courses in Math, Biology, Chemistry, Economics, History, Physics and Psychology. 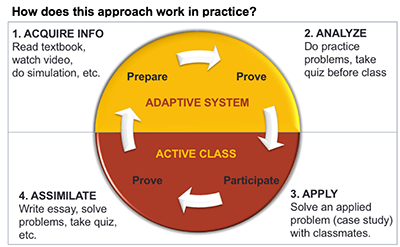 The objectives for using this adaptive/active approach include improving critical thinking and problem solving skills, increasing student subject mastery, increasing student retention, and improving instructor insight. Based on the results achieved so far, the adaptive courseware has helped students get better grades on exams by personalizing their preparation. When combined with the active learning in hybrid (online/face-to-face) courses, the approach has also helped to lower withdrawal rates. This happens, in part, because of the increased socialization that occurs when students work together solving problems. 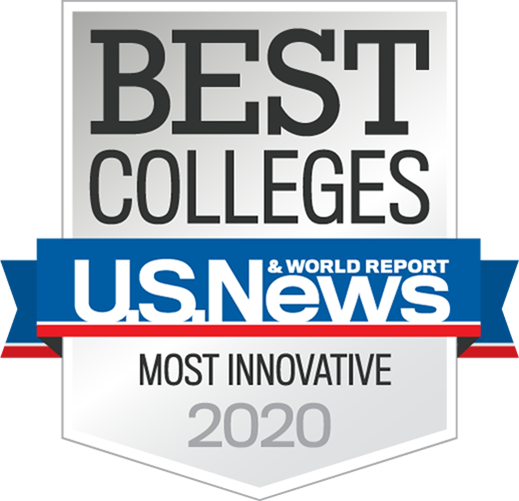 In college algebra, for example, the McGraw Hill ALEKS adaptive courseware has helped increase the student success rate by over 20 percentage points. The software gives students a pretest and uses that data to determine what they do and do not understand. Then, ALEKS creates a personalized learning path through the material by presenting lessons that continuously adapt to the student. If they forget a concept, the software can recommend remediation and check the student’s knowledge retention. The effectiveness of this courseware has transformed the ASU math course sequence by eliminating the need for a remedial math offering. In another course on introductory biology, students use the CogBooks adaptive courseware to read materials, watch video lectures, complete interactive exercises, and take quizzes to build their fundamental understanding of the course material. Then, as shown in the visual below, the students attend face-to-face classes where they work on case studies in teams to develop their problem-solving,critical thinking, and communications skills. By applying their knowledge to a practical example in this way, they develop a deeper understanding of the personal and social value of the lesson.